It seems stiff when streetwear and activewear brands send models down a sombre runway. Music industry superstar Steve Aoki's fashion brand Dim Mak destroyed that convention by replacing the catwalk with a skate park. Dim Mak is a luxury streetwear brand celebrating skater culture, rebels and street art. This season, the graphics were a collaboration with artist David Choe. The collection is made and designed in Japan. It has the indie creative's soul at heart with a tagline "by any means necessary". 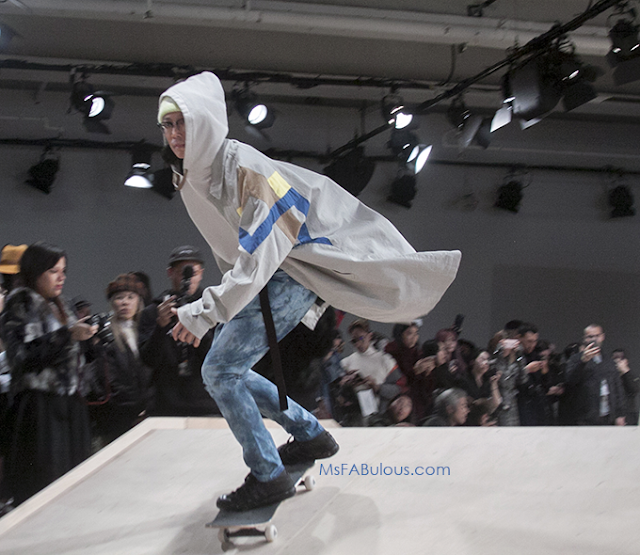 The clothes were shown on true skaters instead of traditional models who burst out on a half pipe to the searing performances of the band Mangchi. It was great to see the clothing in motion. The art, whether it was printed on the back of a trenchcoat, screened on t-shirts, printed on pants looked great in the air. Instead of the baggy classic fit of skaters, the Dim Mak collection played with the silhouette a bit, making pants more tapered in the leg, looser towards the hips, jackets slim in the shoulders but full towards the hem so it had the effect of a superhero's cape in flight. I loved the diverse casting of the show, which had skaters from different ethnicities, both male and one female. In general, I find that NYFWM has more diverse ethnicities in its models than the women's shows, which is a shame on women's designers. 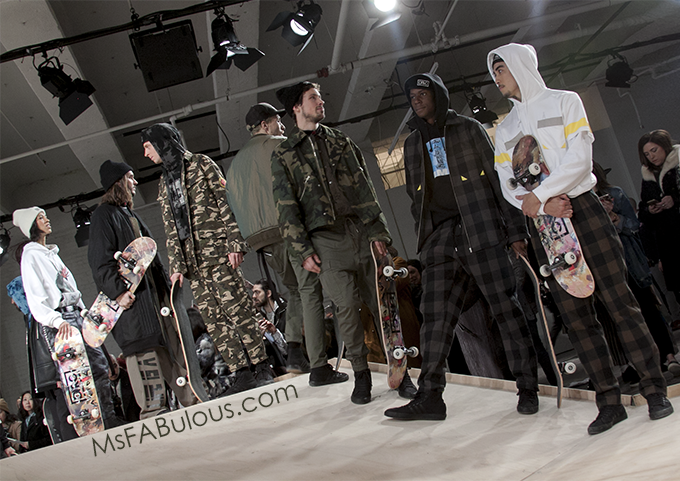 Menswear seems to take more risks in their presentations based on the first three shows I have shot. NYFW needs to step it up. 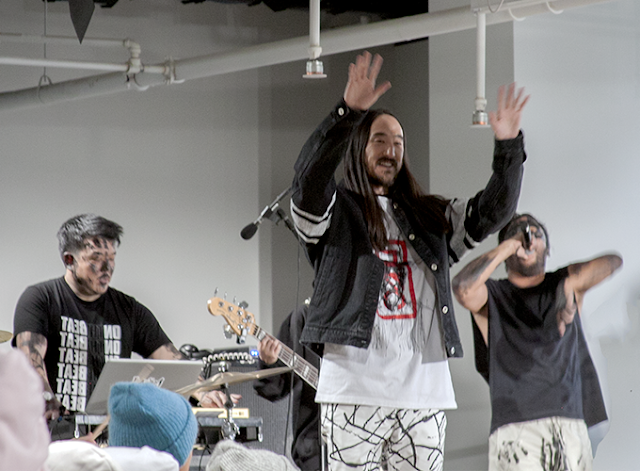 Steve Aoki's Dim Mak Fall 2017 fashion show got my heartrate up and I loved it! Thank you for getting the walls of NYFWM shaking at Skylight Clarkson North and giving it some much needed heat. This label is going to ride all over this side of the ocean.